Open Tourism Days is over! 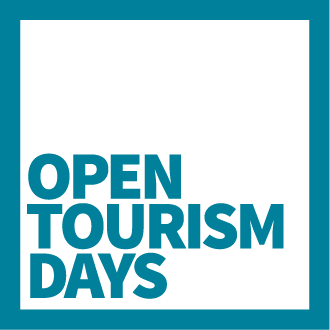 May 5th -7th Open Tourism Days was held, it’s a hackathon featuring Open Data from different caseholders. People with different backgrounds spent 3 days competing with each other in creating the most innovative Open Data solution related to the category Tourism. Open Tourism Days was hosted by Open Data DK and Wonderful Copenhagen in Copenhagen, Denmark. The winning concept received a start-up pack with expert help to develop the project further, also potentially giving the group a kick-start to establish their own business. The vision of the winning concept RideCopenhagen is to destroy barriers in Cycling Tourism by leveraging Data and gathering more Data. An overwhelming amount of information is out there already, but tourists face problems of getting the information effortlessly. RideCopenhagen is based on platforms and analyses Open Data & Data to learn where tourists and the local go, get personalised suggestions, support the local business, adaptable to weather, expand the peak season, and make the trip even more memorable. Open Data DK and Virk Data congratulate the winner! All the groups did a tremendous piece of work throughout the whole weekend. We are indeed impressed by the commitment and cleverness. All in all 8 concepts were made. You can see all the concept presentations here. Thank you so much to all the mentors and judges for taking part in Open Tourism Days – and to all the companies contributing to the prize.